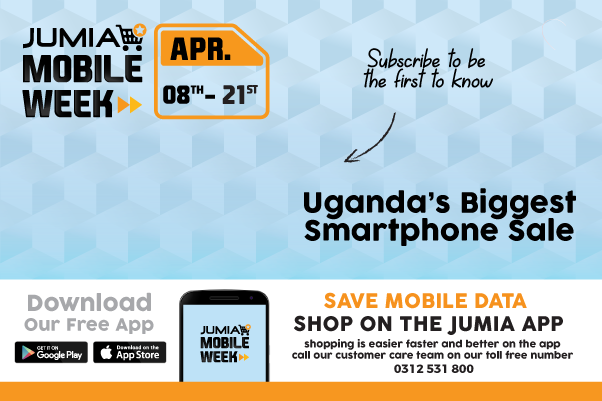 Jumia.ug is a market place which is open for everybody to sell their products on our Site. None of the products listed on the Site are owned or sold by Jumia.ug, neither is Jumia.ug involved in the actual sale transaction between the buyers and sellers on its Site. For the purpose of this website "we", us" and "our" all refer to Jumia.ug. By accessing the Site, you confirm your understanding of the Terms and Conditions. If you do not agree to these Terms and Conditions of use, you shall not use this website. The Site reserves the right to change, modify, add, or remove portions of these Terms and Conditions of use at any time. Changes will be effective when posted on the Site with no other notice provided. Please check these Terms and Conditions of use regularly for updates. Your continued use of the Site following the posting of changes to these Terms and Conditions of use constitutes your acceptance of those changes. (1) Payment by Jumia to the Seller: Payments made to the Seller are calculated as the sum of the selling price including tax of all items delivered to customers less the sum of the selling price including tax of all items returned within this same period and less commissions and penalties. All payments to the Seller shall be made in Ugandan Shillings. (2) Payment Option: Payments will be made by either Bank Transfers or Cheque. The Seller must enter their exact and up to date Bank information in the My Account. (3) Invoices: The Seller has to provide an invoice for the Customer when providing to Jumia the product to be delivered to the customer or when delivering by himself. Jumia will invoice the Seller for its commission and for the fees charged for its value added services as well as for the penalties applied. VAT will apply to all invoices. (4) Payment Calculation: The revenue collected by Jumia on behalf of the Seller is based on the orders successfully delivered and paid for by to the customer. The Seller understands that the items shipped but not delivered at the time of the payment are not included in the payment. Any sums due to the Seller hereunder may be applied by Jumia as a set off against any sums owed by the Seller to Jumia, or against any claims of third parties against Jumia arising from the Seller’s performance, under any document. (5) Collection of VAT: VAT liability for the product sold rests with the Vendor and Jumia will not be responsible for any VAT obligations that may arise. Jumia will remit and declare applicable taxes, including VAT on the amount of the commission and fees collected for its services and withholding tax where applicable. You confirm that you are at least 18 years of age or are accessing the Site under the supervision of a parent or legal guardian. We grant you a non-transferable, revocable and non-exclusive license to use the Site, in accordance with the Terms and Conditions described herein, for the purpose of shopping for personal items sold on the Site. Commercial use or use on behalf of any third party is prohibited, except as explicitly permitted by us in advance. Any breach of these Terms and Conditions shall result in the immediate revocation of the license granted in this paragraph without notice to you. Content provided on this site is solely for informational purposes. Product representations expressed on this Site are those of the vendors and are not made by us. Submissions or opinions expressed on this Site are those of the individual posting such content and may not reflect our opinions. Certain services and related features that may be made available on the Site may require registration or subscription. Should you choose to register or subscribe for any such services or related features, you agree to provide accurate and current information about yourself, and to promptly update such information if there are any changes. Every user of the Site is solely responsible for keeping passwords and other account identifiers safe and secure. The account owner is entirely responsible for all activities that occur under such password or account. Furthermore, you must notify us of any unauthorized use of your password or account. The Site shall not be responsible or liable, directly or indirectly, in any way for any loss or damage of any kind incurred as a result of, or in connection with, your failure to comply with this section. During the registration process you agree to receive promotional emails from the Site. You can subsequently opt out of receiving such promotional e-mails by clicking on the link at the bottom of any promotional email. Our aim is to ensure accessibility to the website at all times, however, we make to representations of that nature and reserve the right to terminate the website at any time and without notice. You accept that service interruption may occur in order to allow for website improvements, scheduled maintenance or may also be due to outside factors beyond our control. 'Jumia' and the community work together to keep our sites and services working properly and the community safe. Please report problems, offensive content and policy breaches to us. We work to ensure that listed items do not infringe upon the copyright, trademark or other intellectual property rights of third parties. If you believe that your intellectual property rights have been infringed, please notify our team and we will investigate. Please note that there are cases when an order cannot be processed for various reasons. The Site reserves the right to refuse or cancel any order for any reason at any given time. You may be asked to provide additional verification or information, including but not limited to phone number and address, before we accept the order. We are determined to provide the most accurate pricing information on the Site to our users; however, errors may still occur, such as cases when the price of an item is not displayed correctly on the website. As such, we reserve the right to refuse or cancel any order. In the event that an item is mispriced, we may, at our own discretion, either contact you for instructions or cancel your order and notify you of such cancellation. We shall have the right to refuse or cancel any such orders whether or not the order has been confirmed and your debit/credit card charged. All intellectual property rights, whether registered or unregistered, in the Site, information content on the Site and all the website design, including, but not limited to, text, graphics, software, photos, video, music, sound, and their selection and arrangement, and all software compilations, underlying source code and software shall remain our property. The entire contents of the Site also are protected by copyright as a collective work under Uganda copyright laws and international conventions. All rights are reserved. If a dispute arises between you and 'Jumia', our goal is to provide you with a neutral and cost effective means of resolving the dispute quickly. Accordingly, you and 'Jumia' agree that we will resolve any claim or controversy at law or equity that arises out of this Agreement or our services in accordance with one of the subsections below or as we and you otherwise agree in writing. Before resorting to these alternatives, we strongly encourage you to first contact us directly to seek a resolution. We will consider reasonable requests to resolve the dispute through alternative dispute resolution procedures, such as arbitration, as alternatives to litigation. The buyer and seller both agree that Jumia.ug would be held free from any liability in contract, pre-contract or other representations, in tort, including, without limitation, negligence, or otherwise out of or in connection with the terms and conditions for any economic losses, such as, but not limited to profits, anticipated savings, revenues, contracts or general business; loss of goodwill or reputation; and any special or indirect losses suffered or incurred by any of the parties arising out of or in connection with the provisions of any matter under these terms and conditions. The buyer and the seller accept that the Jumia.ug will not be responsible or liable for any loss of content or materials uploaded or transmitted through the website and accept no liability of any kind for any loss or damage from action taken or taken in reliance on material or information contained on the site. The buyer and the seller accept that the Jumia.ug does not guarantee continuous, uninterrupted or secure access to our services, and operation of the website may be interfered with by numerous factors outside of our control. In addition, the Site and the services are provided "as is, where is" and as and when available, and to the extent permissible by law all implied warranties, conditions or other terms, whether implied by statute or otherwise, including without limitation, any terms as to skill and care or timeliness of performance, are excluded. These Terms and Conditions shall be interpreted and governed by the laws in force in the Republic of Uganda. Subject to the Arbitration section below, each party hereby agrees to submit to the jurisdiction of the courts of Uganda and to waive any objections based upon venue. Any controversy, claim or dispute arising out of or relating to these Terms and Conditions will be referred to and finally settled by private and confidential binding arbitration before a single arbitrator held in Uganda in English and governed by Ugandan law pursuant to the Arbitration and Conciliation Act of Uganda 2008, as amended, replaced or re-enacted from time to time. The arbitrator shall be a person who is legally trained and who has experience in the information technology field in Uganda and is independent of either party. Notwithstanding the foregoing, the Site reserves the right to pursue the protection of intellectual property rights and confidential information through injunctive or other equitable relief through the courts. We do not sell or rent your personal information to third parties for their marketing purposes without your explicit consent. We use your information only as described in the 'Jumia' Privacy and Confidentiality Policy. We view protection of users' privacy as a very important community principle. We store and process your information on computers that are protected by physical as well as technological security devices. You can access and modify the information you provide us and choose not to receive certain communications by signing-in to your account. We use third parties to verify and certify our privacy principles. For a complete description of how we use and protect your personal information, see the 'Jumia' Privacy and Confidentiality Policy. If you object to your information being transferred or used in this way please do not use our services. We shall send notices to you by email to the email address you provide to 'Jumia' during the registration process. Notice shall be deemed given 24 hours after email is sent, unless the sending party is notified that the email address is invalid. Alternatively, we may give you legal notice by registered mail to the address provided during the registration process. Notices sent to you by registered mail shall be deemed to have been received by that party three days after the date of mailing. In addition to any other legal or equitable remedies, we may, without prior notice to you, immediately terminate the Terms and Conditions or revoke any or all of your rights granted under the Terms and Conditions. Upon any termination of this Agreement, you shall immediately cease all access to and use of the Site and we shall, in addition to any other legal or equitable remedies, immediately revoke all password(s) and account identification issued to you and deny your access to and use of this Site in whole or in part. Any termination of this agreement shall not affect the respective rights and obligations (including without limitation, payment obligations) of the parties arising before the date of termination. You furthermore agree that the Site shall not be liable to you or to any other person as a result of any such suspension or termination. If you are dissatisfied with the Site or with any terms, conditions, rules, policies, guidelines, or practices of Jade E Services Uganda Ltd in operating the Site, your sole and exclusive remedy is to discontinue using the Site. If any portion of these Terms and Conditions is held by any court or tribunal to be invalid or unenforceable, either in whole or in part, then that part shall be severed from these Terms and Conditions and shall not affect the validity or enforceability of any other section listed in this document. You agree that all agreements, notices, disclosures and other communications that we provide to you electronically satisfy any legal requirement that such communications be in writing. Assigning or sub-contracting any of your rights or obligations under these Terms and Conditions to any third party is prohibited unless agreed upon in writing by the seller. We reserve the right to transfer, assign or sub-contract the benefit of the whole or part of any rights or obligations under these Terms and Conditions to any third party.